Who Pays? | Oakland, CA Event - Who Pays? On behalf of our Bay Area partners who participated in the Toward a Caring Economy project, including the Ella Baker Center, Essie Justice Group, and Causa Justa: Just Cause, Forward Together invites you to check out the report findings while building community in Oakland. 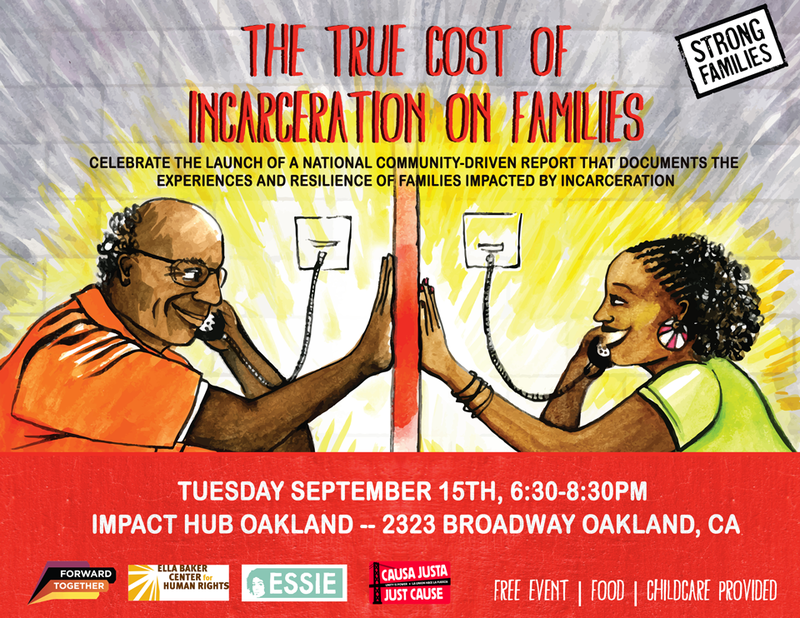 This free event will feature key findings of the report, a community conversation with formerly incarcerated individuals and family members, food, and childcare. This event is wheelchair accessible and about 4 blocks from the 19th Street Oakland BART station. Questions? Email manie@forwardtogether.org or call (510) 663-8300 x322.